Ever crave lasagna while camping? This recipe let's you have it! No oven necessary. If you have a camp stove, you can have this lasagna while enjoying the great outdoors and it tastes great! The ingredients are camp friendly too! 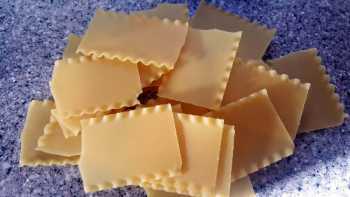 And of course this is a great way to make lasagna at home too. Serve with a side salad and garlic bread to make a complete and filling meal. We love Johnsonville Hot Sausage (if you couldn't tell from other recipes) but you could substitute ground beef /chuck if you feel the need or are avoiding pork (who does that?) and just add some red pepper flakes to spice it up a bit. In a large bowl add in the crushed tomatoes, tomato sauce and water and mix together. In a large 12 inch skillet, heat a tablespoon of olive oil over medium heat. Once hot, add in the diced onion and cook until soft and translucent. Add in the granulated garlic (or minced garlic), salt, and black pepper. Stir and cook for an additional 30 seconds. 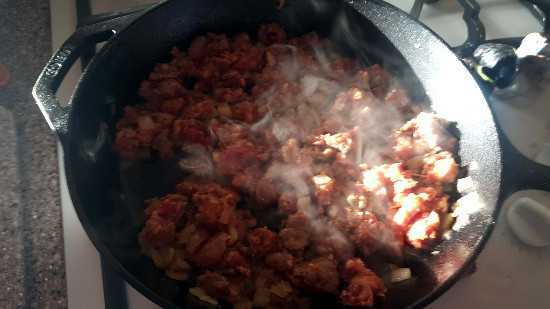 Add in 1 pound of Johnsonville Hot Italian sausage and cook, stirring occasionally until browned and fully cooked. Of course if you don’t like Hot, you can use Mild. 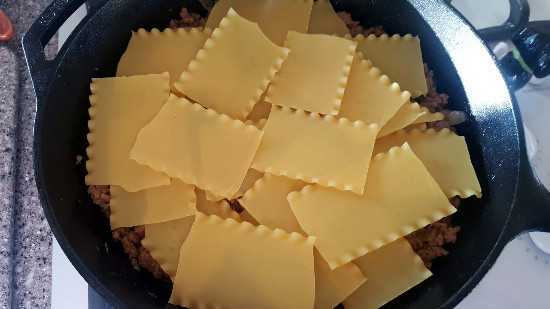 You can also use ground beef/chuck, but it’s just not the same. 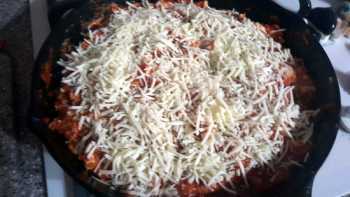 Evenly layer the broken lasagna noodles on to the top of the sausage and pour the tomato sauces over top. Bring to a simmer and then reduce to medium-low. Let the sauce bubble to cook the noodles. Approx. 30 minutes. 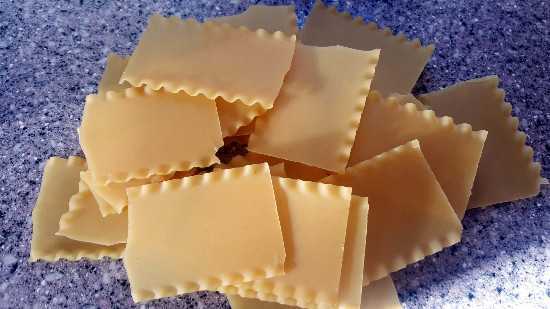 Push the noodles into the sauce as they soften so the sauce can work its way down into the pan. 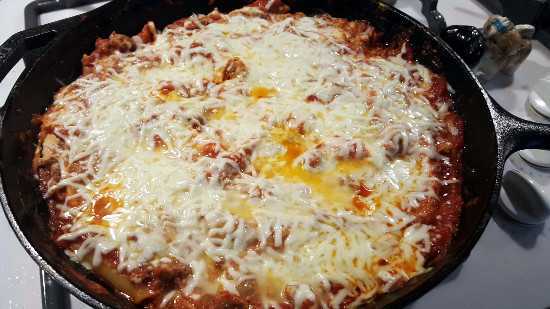 When the noodles are al dente, give it a good stir mixing the noodles, sausage and sauce, then drop spoonfuls of ricotta cheese onto the lasagna. Stir in the ricotta cheese but do not over mix. 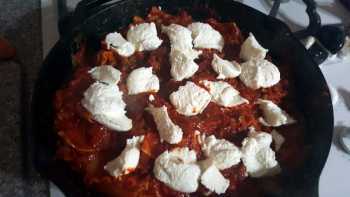 Sprinkle the shredded mozzarella cheese over top, cover with a lid and let the steam melt the cheese. About 5 – 6 minutes.